Ramadhan is the time of the year buffet lovers like us are looking forward to. Not only hotels, good restaurants & cafes, pizzas like Papa John’s and even coffee chains like Gloria Jeans are all out to make an exception, offering a spread of buffet for breaking fast. Do check out Delicious outlet in ST. Mary for the scrumptious western and local fair. 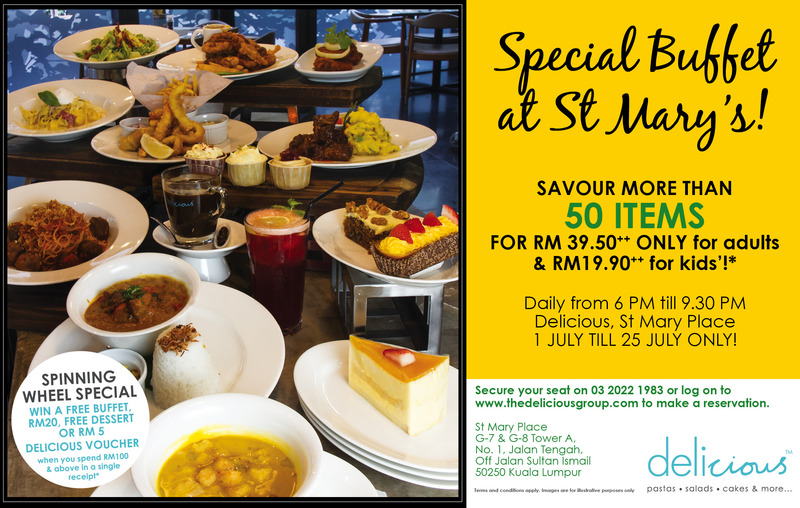 - Only at outlet St. Mary Place in KL city centre (G7-8, Tower A). This entry was posted on Wednesday, July 2nd, 2014 at 4:25 pm	and is filed under Food Promo, Set Dinner, Western Restaurant, set lunch. You can follow any responses to this entry through the RSS 2.0 feed. You can leave a response, or trackback from your own site.